The Scottish Government is being urged to undertake trials of online voting by a group of thirty academics and charity bosses. In a letter to Joe Fitzpatrick, minister for Parliamentary Business, the group said the move would help achieve a "modern democracy". A consultation is underway on changes to Scotland's electoral system. The letter acknowledged "security concerns" associated with online voting. The signatories, led by the think tank WebRoots Democracy, suggest online voting would make elections "more efficient, more accessible and more engaging". Trials, they say, could allow Scotland to "lead the way in democratic reform and pave the way for the rest of the world". Signatories to the letter include leading academics in cyber security and political science and the heads of charities including Disability Equality Scotland and the Army Families Federation. People with disabilities, military personnel based overseas and young people would all benefit from reform, the letter claims. In December 2017, the Scottish Government set out a range of potential changes to the how MSPs and councillors are elected. According to the consultation document, the Scottish government "plans to trial innovative electronic voting methods". Votes could be cast either on electronic voting machines in polling stations - "similar to ticket machines at railway stations or supermarket automated checkouts" - or remotely, via home computers or mobile devices. The letter urges the government to "stay true to their commitment" to pilot online voting for elections. Areeq Chowdhury, Chief Executive of WebRoots Democracy, said: "Online voting has the potential to dismantle barriers to an independent and secret ballot for many voters with disabilities and vision impairments, as well as British citizens overseas including many members of our Armed Forces. 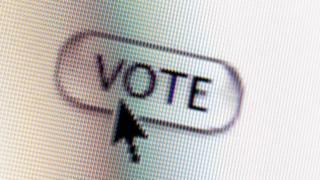 "For the younger generations, online voting presents a method of voting that meets the expectations of the digital age. We are pleased to see the Scottish Government explore this reform and hope they can lead the way by undertaking pilots of this important and exciting reform to our democracy." The Scottish Government's consultation warned that "ensuring the security of internet voting and public confidence in it would be extremely important". The letter suggests that concerns about security should be "tackled through pilot schemes rather than avoided altogether." A failure to harness technology, the signatories claim, would mean many citizens are "disenfranchised" by an "ever more outdated" system.